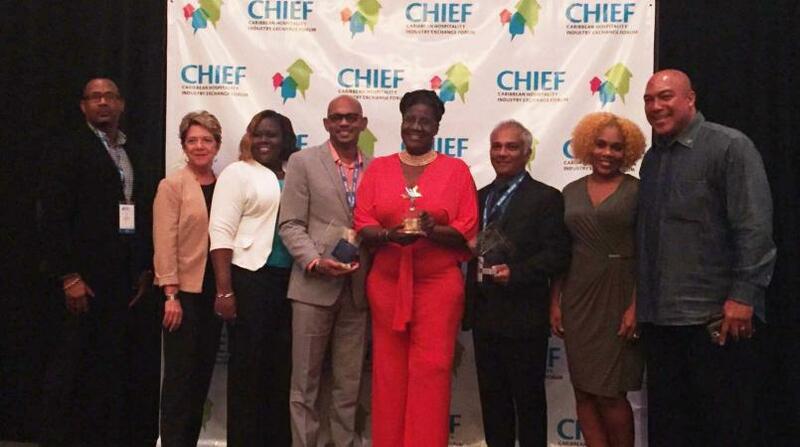 Barbados has copped three top awards at the Caribbean Hotel and Tourism Associations` (CHTA) Caribbean Hospitality Industry Exchange Forum (CHIEF) Awards held recently in Puerto Rico. The winners, all members of the Barbados Hotel and Tourism Association (BHTA), are the Elegant Hotels Group with the Sales and Marketing Hotel of the Year Award, Oceans 2 Resorts and Residences with the Hotel Operations Award and Heather Hinds of The Club, Barbados Resort & Spa with the Employee of the Year Award. BHTA`s CEO Sue Springer, who attended the event, congratulated the winners and said it was a massive achievement for the island. She said, "We are extremely proud of our winners and want to say well done from our Board and other members. "Just last June Oceans 2 also took home the Hotel of the Year – Large Hotel Award and Heather won the Employee of the Year category at our own BHTA Awards, while Elegant Hotels added the new Waves Hotel and Spa to its portfolio in August, after its successful listing on the London Stock Exchange`s AIM market in March. Now they are all the proud recipients of more prestigious accolades." The CHIEF Awards, now in its second year, showcases the Caribbean's best practices in four main areas of business -Environmental Sustainability, Operations, Sales & Marketing and Technology. The awards are open to any company that is a current CHTA Member or that of a fellow member of a National Hotel and Tourism Association, Ministry and Departments of Tourism, Travel Industry Partners, CHTA Strategic Partners and Sponsors and the general public. The competitors are judged by a panel of top industry professionals from different countries and geographic regions as well as different professional backgrounds, including the private sector academic institutions, non-profit organisations and government, to reflect the multi-stakeholder engagement in Travel and Tourism.